Experts tell us that packages and labels on crowded store shelves have an average of three seconds to capture a consumer’s attention. There are a handful of ways to help ensure this happens. But there are a myriad of ways to increase the odds that they will ignore your label. Bright colors are one of the primary tools that consumer packaged goods (CPG) manufacturers use to grab consumer attention as they visually scan store shelves. 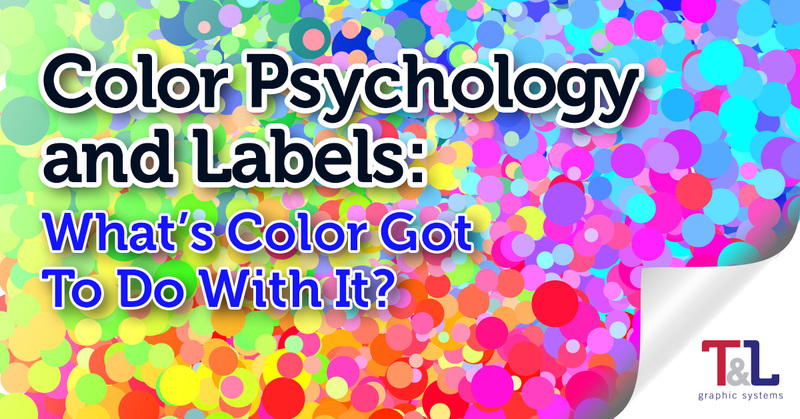 What would happen if you selected a drab or indistinct color scheme for your product labels? This would almost guarantee that it would fade into the background and will be quickly dismissed by busy shoppers. As you develop a color scheme for your brand, pay careful attention to color psychology. In other words, colors make us feel different ways. For example, blue tends to connote calmness or professionalism. Purple is often regarded as a color that communicates wealth or wisdom. Finally, yellow communicates warmth and energy. What qualities do you want associated with your brand? Select your color scheme accordingly, and consider doing some customer research to validate and refine your decisions. In recent years, consumers have become much more demanding about package and label information. 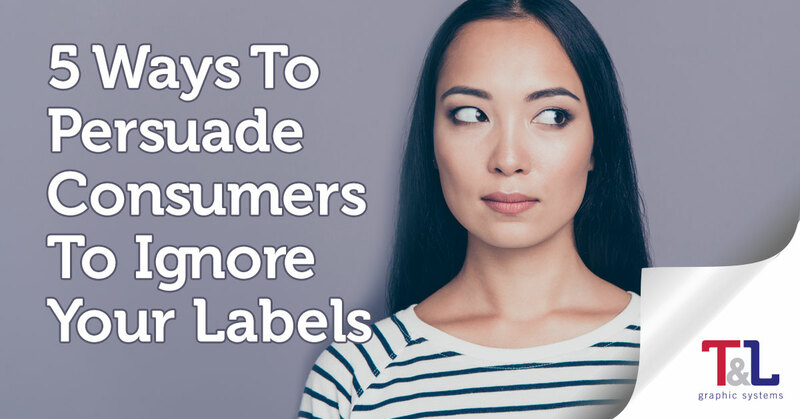 If your labels and packaging aren’t aligned with their expectations, your products will almost certainly be ignored. 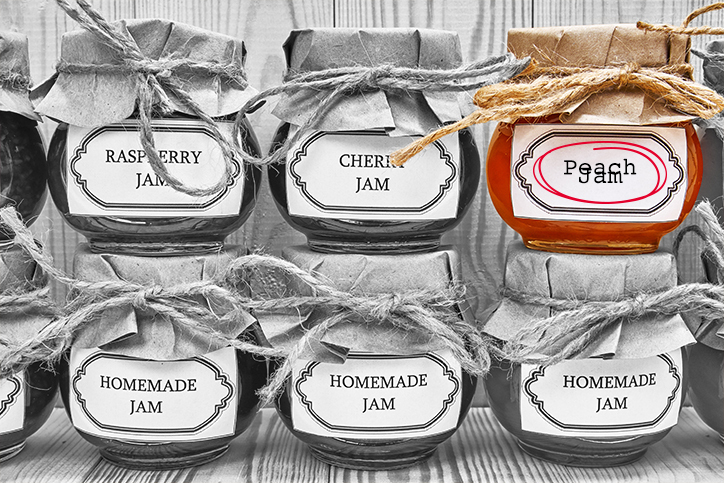 What if you took your best guess at the information your customers want to see on your labels? Then you run the risk of misjudging their needs. To understand what they’re looking for, you need to have a deep understanding of your customers and their needs. For best results, conduct consumer research to help steer your label design decisions in the right direction. It will also give you insights on the information your customers want to see on your labels. Lackluster branding is a certain route to packaging and label oblivion. Most consumers expect to see a strong and consistent brand on the products they buy. If they can’t tell what your brand story is and what it stands for, they will tend to overlook your packages and labels on store shelves. Brand familiarity tends to favor incumbent or well-known companies. But smaller CPG manufacturers can benefit by creating distinctive, bespoke brands that align with the values and aspirations of younger consumers. Often, the labels of these packages tell a story through their designs that appeal to a particular demographic. For example, the rise of craft beers, distilled spirits and wines from short-run producers have created an explosion of highly memorable, quirky and attractive brands, labels and packaging. If you’re not sure how customers will react to your branding, conduct some research with them. Show them several possible brand designs, and ask them for their visceral reactions. You may be surprised by what you learn! Consumers are very savvy. They want transparent, authentic experiences in their lives, including the products they buy. They can immediately tell if a brand looks too “slickly” packaged. Stock photography may be easy and inexpensive for consumer product goods manufacturers to procure and use. But it can easily become a crutch that hurts your brand image and, ultimately, your sales. As we discussed earlier; labels that have a hand-made or home-grown look to them can be very effective in capturing the attention of younger consumers because of their authentic look. When in doubt, test prospective designs with your customers to zero in on those they respond to the best. Once you have crafted the backstory of your brand, the next step is to design labels and packaging that align with it. For example, if your CPG product line emphasizes organic foods, your labels should probably utilize a more traditional, hand-made look – not a slick, colorful label that looks like it came from a world-famous consumer brand. One of the biggest mistakes food manufacturers and distributors make is failing to create a brand story. Remember: This part of your brand is a differentiation tool. By occupying a space in the minds of your prospective customers, you increase the odds that your product and its brand story will stand out when the consumer is standing in front of your product category in the store aisle. Not having a brand story – or a poorly written one – will make it more likely that consumers will ignore your products. For best results, talk to your consumers. Ask them questions to determine their current perceptions of your brand. From there, develop a plan to move them in the direction you want them to go. This is a process that you will need to work on consistently and gradually. In addition, keep in mind that retailers need to understand what makes your products different or better before they will devote precious shelf space to them. In other words, your brand story matters more than you think! There are thousands of products and brands competing for consumers’ attention in today’s store aisles. Don’t leave your label design to chance. Invest the time and effort to develop a distinctive, attractive and differentiated brand that will stand out, sell well and delight consumers! Fonts have inherent challenges that complicate the handoff from designer to printer. Depending on the program used to create or read a font, a program or software version may interpret font styles and sizes differently. Just because a font has the same name doesn’t mean all programs will read it consistently. 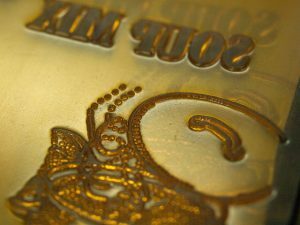 There are also thousands of fonts available to the design community, and many designers create custom fonts, making it impossible for a label supplier to access that font by having it preloaded on its computer. The only way to avoid these issues is to provide your label printer with the font file or convert your label’s text to paths. If you see a color you like, perhaps on a website or article of clothing, it’s difficult to flawlessly reproduce that color in print unless it’s a solid color like the red, white and blue of the American flag. Introducing any variation of color, like a lighter blue, gradients of a flag waving, or shadows, complicates the color composition. Similar to when you match paint for your home, artwork colors can be reproduced using a color matching system, but it isn’t perfect. For a perfect color replication, provide your label printer with the Pantone Matching System (PMS) colors. 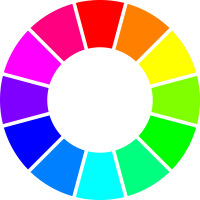 By specifying the Pantone name or number, you can guarantee that your color is exact. If an image looks great on your website or Facebook page, it doesn’t necessarily mean that the quality will translate to your label. For a crisp and professional look, the pixels or tiny dots of color need to be smaller and closer together than for the web, which typically only requires a resolution of 72 to 120 dpi (dots per inch). Before sending your artwork to your label printer, make sure you include high-resolution images or photos that are a minimum of 600 dpi. A drop shadow, or a visual effect that looks like a shadow, allows artists to add depth or a raised effect to an otherwise flat object. While this effect looks great on a computer, it doesn’t always translate to print. Drop shadows look black on a computer monitor but actually require a four-color process to make the effect convincing. Design programs like Adobe Photoshop and Illustrator make it easy to add effects like this with preset styles, but they typically default to lower quality images with ambiguous color makeup. When including special effects like drop shadows in your label artwork, create high-resolution images that are at least 600 dpi; control your color values by providing your label printer with a Pantone name or number (PMS). Advancements in technology have paved the way for design innovation, but have also opened up room for digital issues with fonts, colors, image quality, and design effects that, if not caught, can result in a label that misrepresents your brand. To make your next labeling project a success, be mindful of these tips and also download our eGuide, How to Create the Perfect Label: The 5 Most Important Questions to Ask. 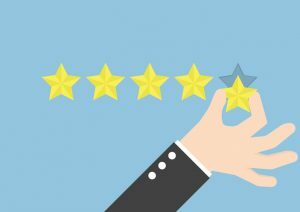 What Does Great Customer Service Mean? If you want to get more clients and to grow your business faster than you once thought possible, you might be wondering what steps will enable you to reach your desired outcome. Although having great products and a strong marketing plan is a vital part of the process, it’s not enough on its own. When you want to get the most from your business, you need to have great customer service skills, but many people don’t even know where to start. No matter how good your products might be, your business won’t last long without this vital piece of the puzzle. You are about to learn what great customer service means and how to use it to grow your business.